In an earlier article we announced that Rockstar should release some news regarding GTA V in the next few months. But that's what a Rockstar official said in February. It's the end of June and still no news about GTA V exept that announcement trailer we got last year. But something strange happened in the meanwhile. A Grand Theft Auto fan posted a message on the official GTA forums regarding the so expected GTA V news. 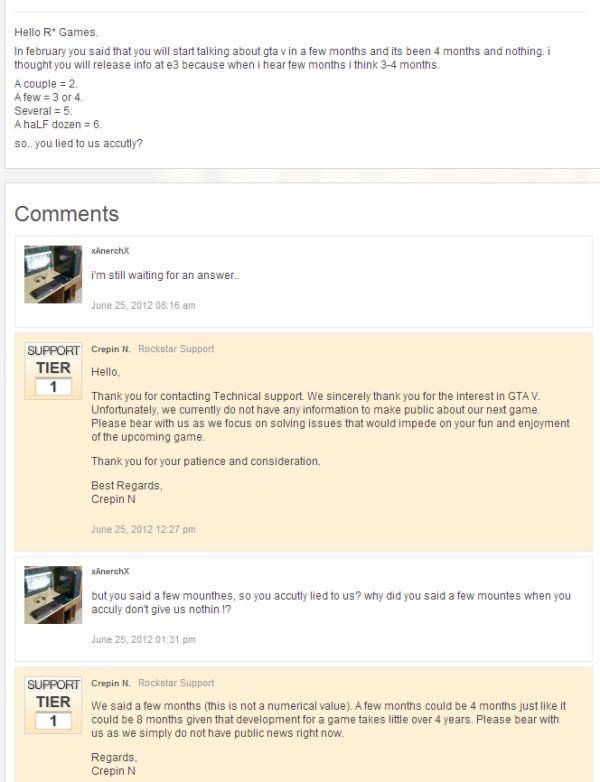 He asked Rockstar why aren't they releasing any new updates on GTA Vand if they were lying about it. And the response came from a Rockstar official and he said there are no new updates for now but by saying 'in the next few months' they meant it could pass more than 8 months until future GTA V updates and that developing a game takes a little over 4 years. GTA IV was released in April 2008 for consoles and December 2008 for PC. Does that mean we are getting closer to the GTA V release as we hinted and Rockstar is just letting the fans to create the buzz and then release the news in the last weeks of GTA V development? What do you think about Rockstar's GTA V news policy? Do you think it's the time that they should release some news? Now it's official! EA Sports just announced the release date for FIFA 13. 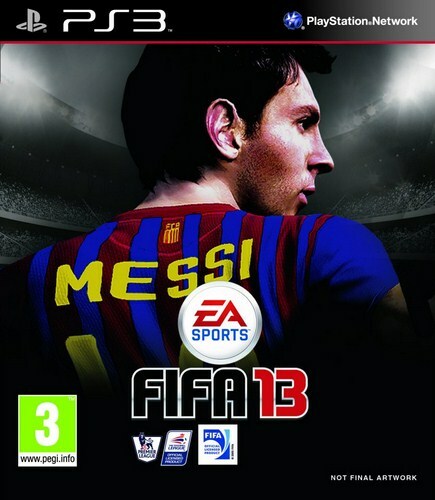 A few days earlier we presented you the cover for FIFA 13 which features FC Barcelona's player, Lionel Messi. Now EA has let us know that FIFA 13 is coming on PC, Xbox 360, PS3, PSVita and Wii on 25th september in North America and 29th september in Europe. Users who will pre-order the game will get an exclusive extra in-game content. Even though you can make pre orders EA only posted informations about the console versions (which is getting them the most amount of money) but that doesn't mean the game will not come on PC. EA is as usual concentrating on consoles but PC users should also be happy because since FIFA 12 the game is next gen just like it has been on consoles for years. So with that being said are you going to pre order FIFA 13? We posted in an article some while ago a unfinished version of the cover for FIFA 13 which featured Lionel Messi. Forget about it. This has just been announced as the official cover for FIFA 13 and will feature the same Lionel Messi but in a new setup. 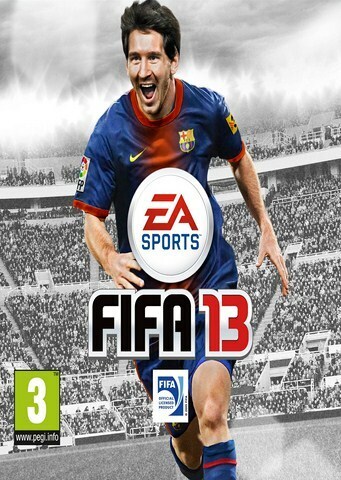 The new one looks much better and i think Messi it's the best player that could be featured on the cover of FIFA 13. EA made a major move and because Messi's contract with Konami (Pro Evolution Soccer) expired Electronic Arts acted fast and signed the best football player in the world. Many are wondering why another player hasn't been featured on the cover of FIFA 13. Well Kaka, because many are wondering already has been in the menu of FIFA 12 and he isn't the same player as he used to be at AC Milan. Rooney has been featured on the cover for a few years in a row and Ronaldo well i think it's useless to say that he signed with Konami. So (without starting a war here between Messi and Ronaldo fans) FIFA 13 already has the best football player on it's cover but will it succeed to be the best football game as well? We will see. How do you like the FIFA 13 cover? There have been going on a lot of rumours lately. Many of them talked about a 2013 release of the Playstation 4 and Xbox 720. And now our question comes in: How is it going Sony? Have you been working on the new console? If you did for how long? And of course, when is it going to be released? Now i know we won't get any official response for those questions but one official statement regarding the upcoming console from Sony has been made at the E3 convention, about two weeks ago, when a Sony official told the press that they don't have any intention to rush things up. They prefer to take their time and release a perfect console later rather than release it sooner and to be a very buggy one. I like their ideea but if we take a look at the release dates for the last three Playstation consoles, we can see a six years difference. The first Playstation has been released in 1994. Six years later in 2000 the Playstation 2 came up. 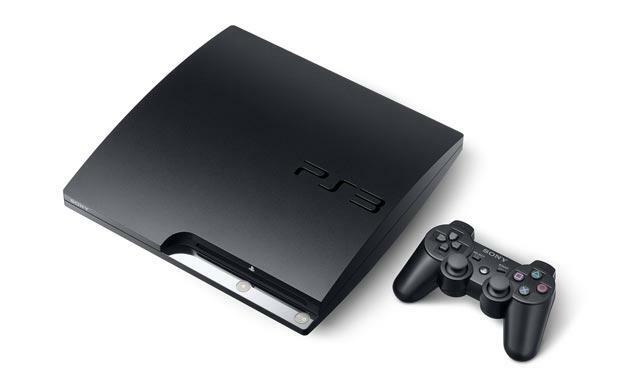 Then in 2006 the third version, which is still the latest console from Sony has been released. Of course we had the Playstation 3 Slim in 2009 but it can't be categorized as a major release. As you are probably used by now, igcent.com brings you the latest trailers and game updates just minutes after they have been officially announced. Just minutes ago EA announced that a first official trailer will be released today at 9PM UK time. That's less than ten hours away. The trailer for FIFA 13 comes somehow surprisingly just one day earlier than the Electronic Entertainment Expo 2012. That makes us think that we will get even more updates from EA about FIFA 13 at E3 like technologies used, making of, exclusive gameplay and many more. The official trailer for FIFA 13 will be posted on this page as soon as it goes online so make sure to check out our website for more updates on FIFA 13 and sign up now to find out the latest news!